AvtoVAZ's Lada brand has had a sales boost from vehicles such as the XRay crossover. MOSCOW -- Russia's biggest automaker AvtoVAZ said its annual net loss narrowed to 9.7 billion rubles ($171 million) last year from a loss of 44.8 billion rubles in 2016, helped by cost cuts and the recovery of the Russian car market. The company, which builds Lada cars, said losses were due to restructuring costs of 2.2 billion rubles, interest expenses of 7.3 billion rubles, and an impairment charge by a joint-venture company. AvtoVAZ, part of the Renault-Nissan alliance, pushed through initiatives to reduce costs and added new models to its lineup, amid a steep decline in its local market over recent years. The automaker's efforts were boosted by recovery of the Russian market, which grew 12 percent last year, after four years of decline, and is seen growing again in 2018. 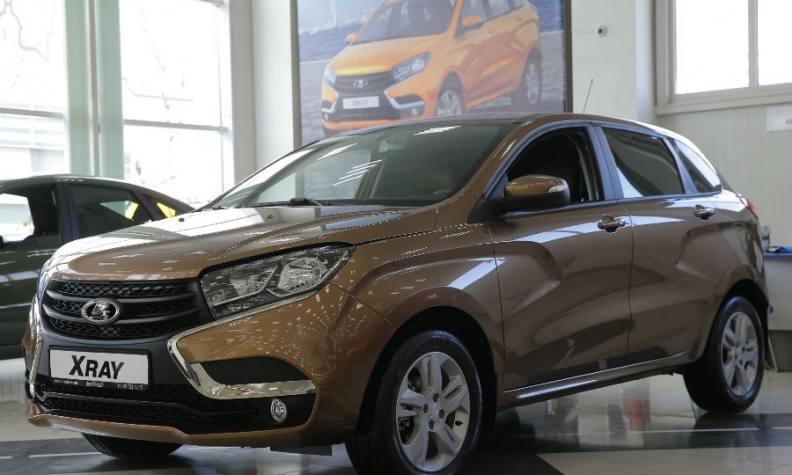 Revenues jumped 22 percent to 225.6 billion rubles, with Lada's sales rising 17 percent. Sales were driven by the success of new models, including the higher-end Vesta and XRay VTB Capital analyst Vladimir Bespalov said. "They offer a decent quality to price ratio", Bespalov said. The company plans to increase Lada sales in Russia by at least 10 percent in 2018, in line with the market, AvtoVAZ President Nicolas Maure told reporters on Friday. AvtoVAZ confirmed its goal to reach a positive operating margin in 2018.